"A well-designed product requires no documentation". Though I understand the underlying reason, it is a debatable one. Good product documentation is essential, given that the users/customers are so different from the creators of the product. Product managers need to consider documentation as an essential "feature" of their product. The depth and rigor of documenting every single workflow, use-case and product feature entirely depends on the product context, domain, target segment and most importantly, what your users need. Nevertheless, based on what I have observed across various software products, good product documentation essentially follows these 7 best practices. Before I cover them, let me clarify that product documentation refers to "Help" section of your product/app where your users would look for information whenever they have any questions around using your product. It doesn't matter whether you have more resources, time or you have excellent content pros in your team who can dish out tutorials and screen-casts in a jiffy. The most important principle is to keep product documentation short and simple. Identify areas where there is more complexity - workflow with multiple steps to accomplish a certain job, processes/guidelines that ought to be documented for preventing any escalations etc. Ensure your users are not subjected to information overload. If required, perform usability studies to figure out whether your users are feeling overwhelmed with the content you have put out. Every person learns differently - some prefer verbal communication, some learn from visuals and some prefer to learn by doing. For the critical areas that need to be documented, provide various forms of learning material - text, videos, screen-casts etc. Measurement is the key here, to understand which form works the best for your target users. Users typically encounter issues while they are using your product. So make sure the relevant content is made available within context and integrated into the product flow. Keeping your product separated from documentation defeats the purpose. The content that a user might be looking for depends on whether he/she is getting onboarded into your product, started using the critical paths or a veteran user. Based on the stage in the lifecycle, anticipate the kind of questions your user might have and personalize the content accordingly. If your product accommodates various roles and permissions (e.g. - report creator, report access only, admin etc), the content needed by each role would be different. This provides another layer of personalization that you can think about. For every piece of content, ensure your users have a way to give feedback on its usefulness. It could be as simple as a "like/dislike" button. Take the feedback data seriously and refine your content. 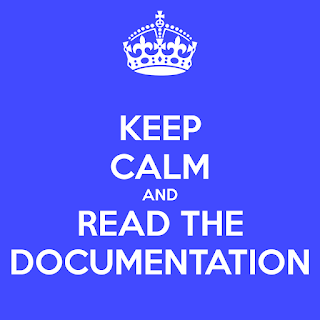 With frequent product releases and updates, it is very important that your documentation stays up-to-date. As part of your launch signoff process, ensure you have an action item to update the documentation. The responsibility should lie with the product manager. He/She can work with other teams like product marketing, content writers, legal or support but the ownership of ensuring that content stays up-to-date should remain with the product manager. Most of the times, users prefer to search for what they are looking, rather than peruse through reams of content distributed across various categories. As a product manager, try to keep track of what's being searched to understand the areas your users are struggling with. Ensure the search results provide relevant answers. The search queries also help you to understand the UX paths that need to be optimized or re-looked at in the subsequent releases. Are there any other best practices that software products with good documentation follow? Do you have any examples of software products with useful and interesting documentation? Please share in the comments below.